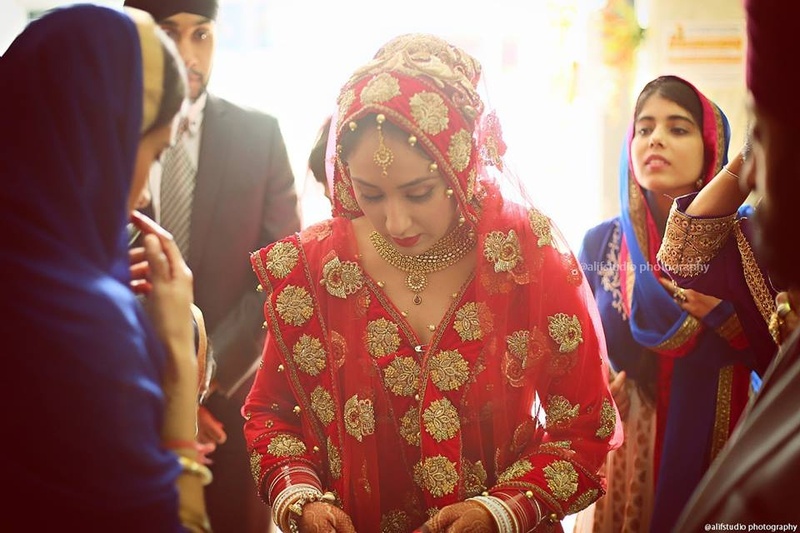 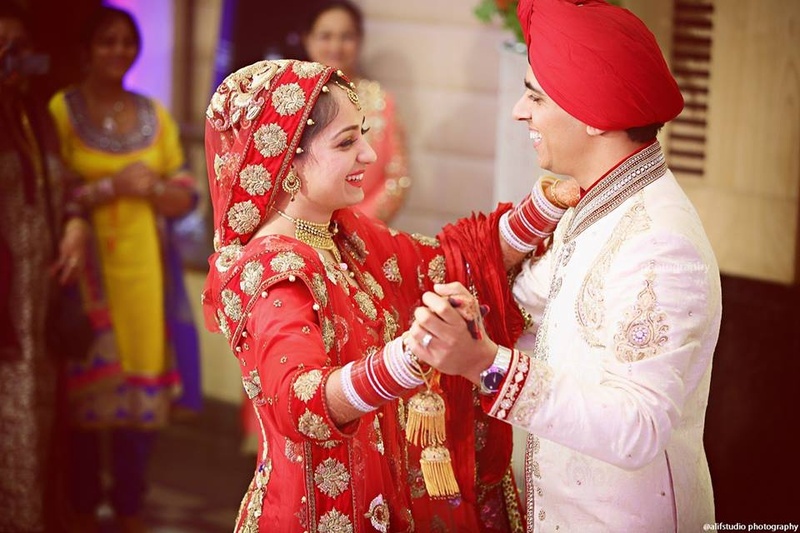 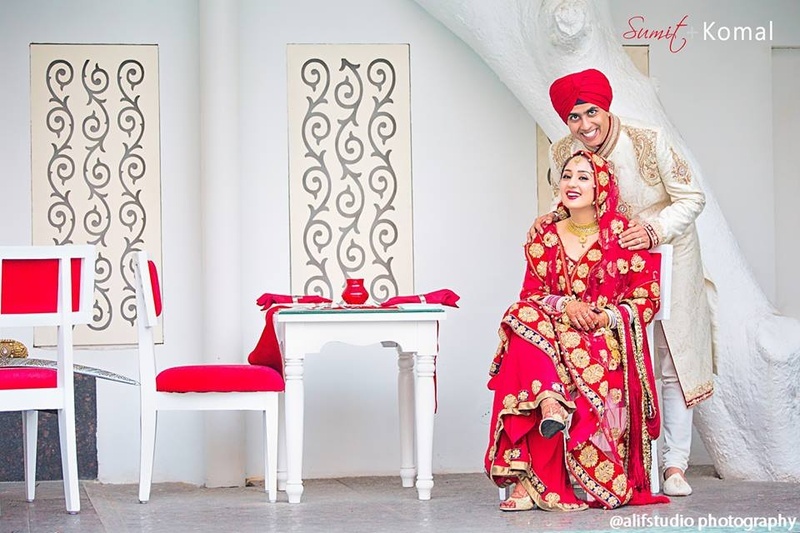 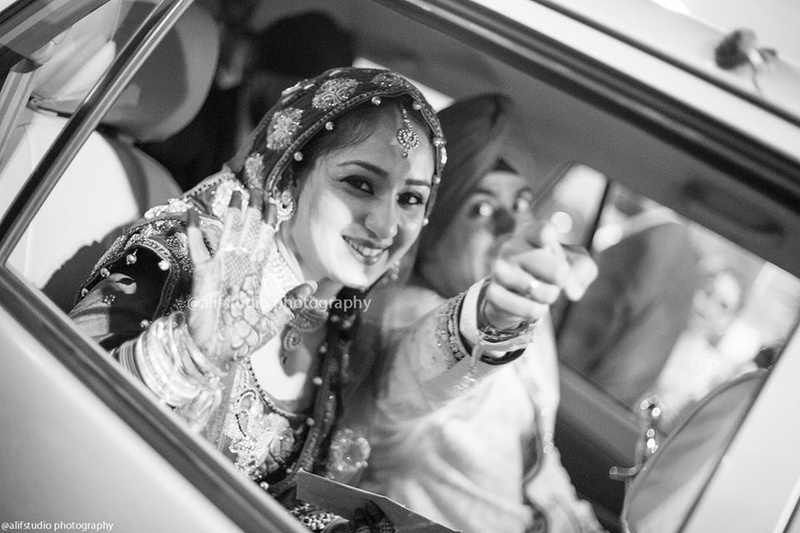 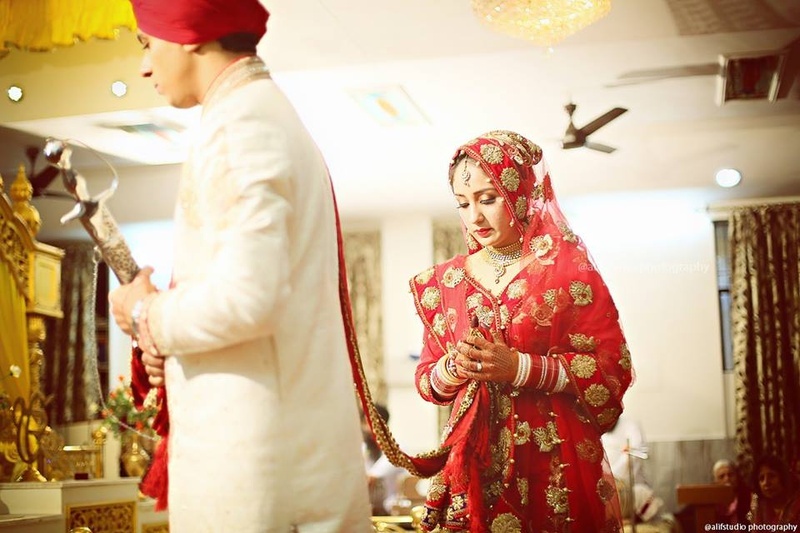 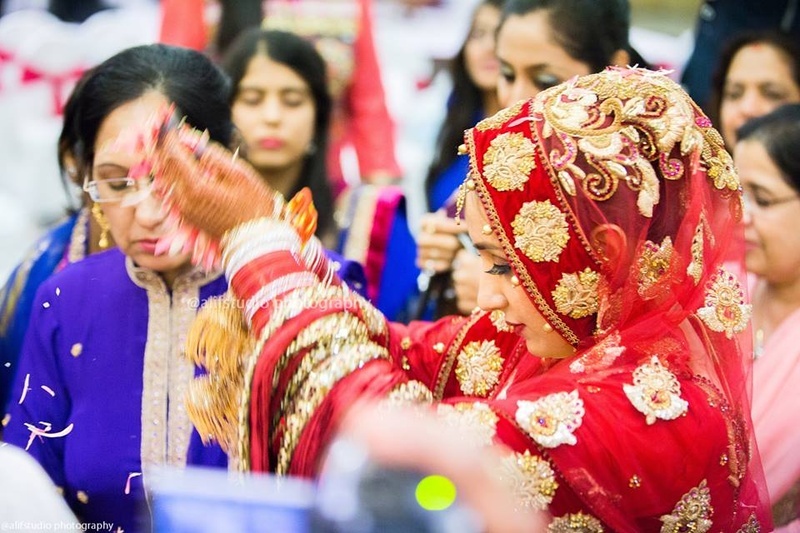 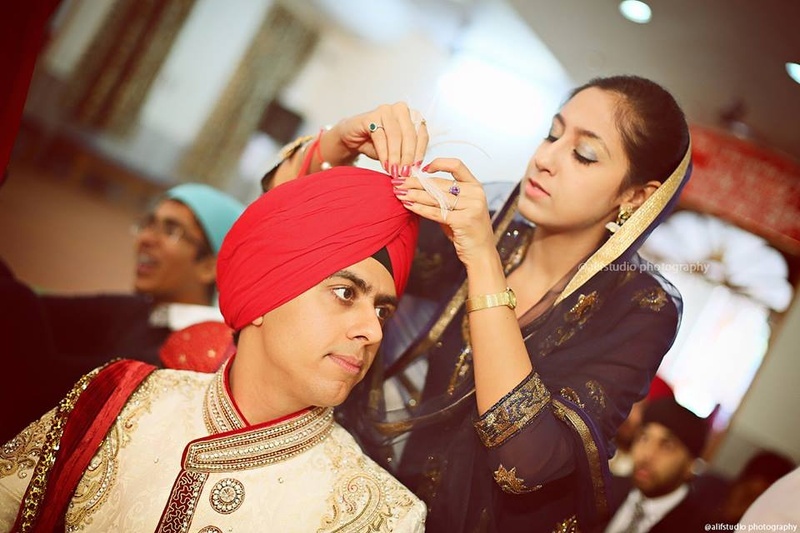 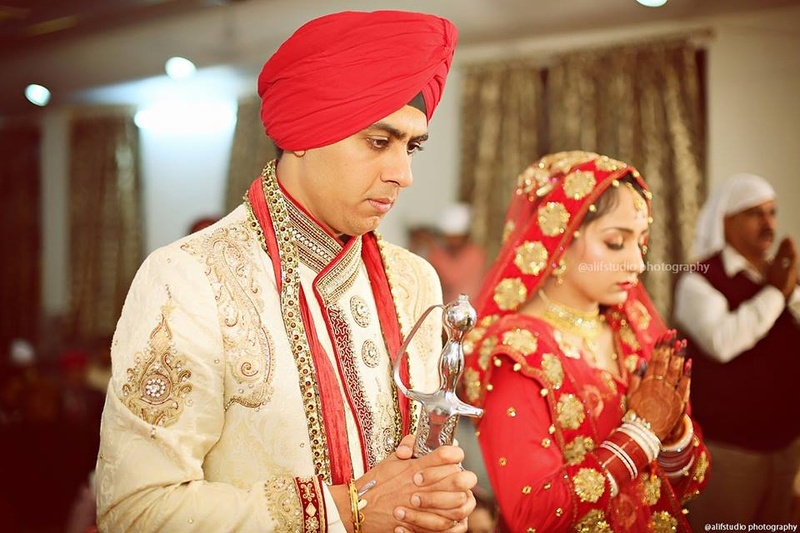 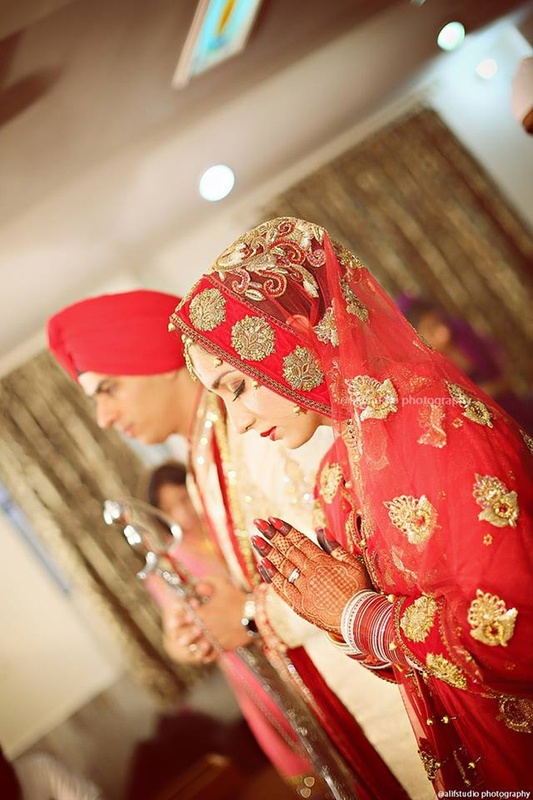 Sumit and Komal’s traditional Anand Karaj ceremony took place in a Holy Gurudwara where they sought blessings from the almighty as they embarked on their new journey together. 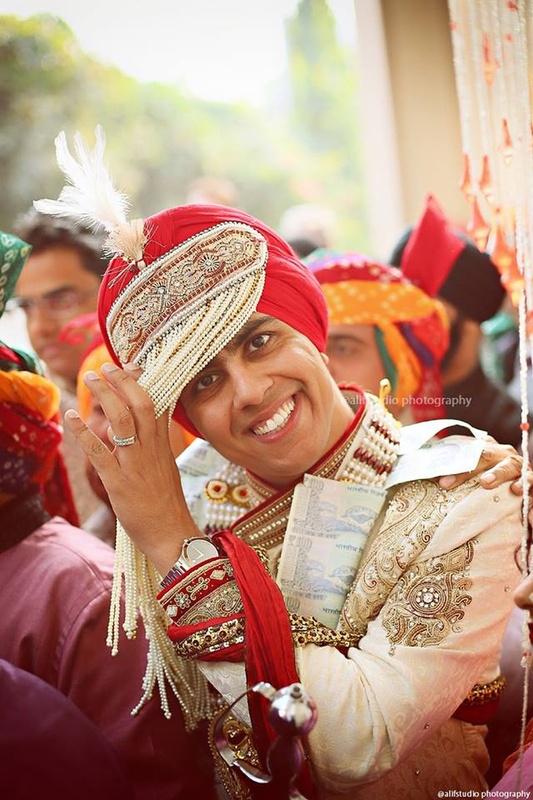 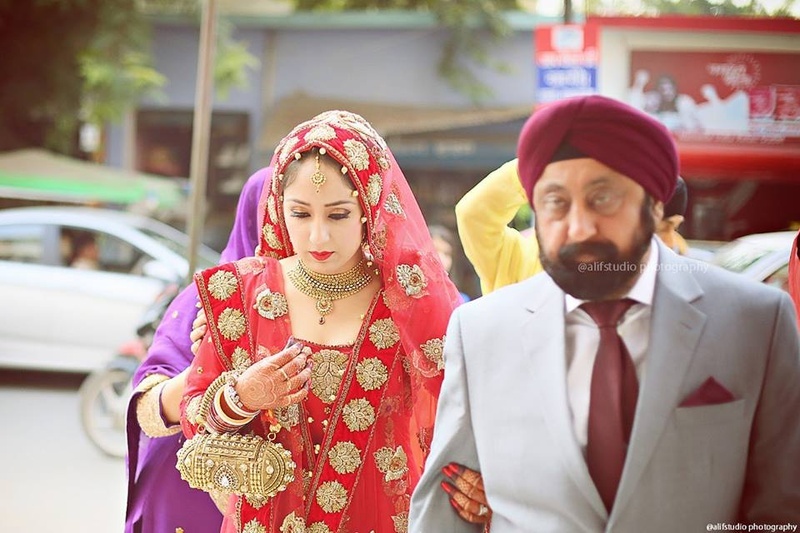 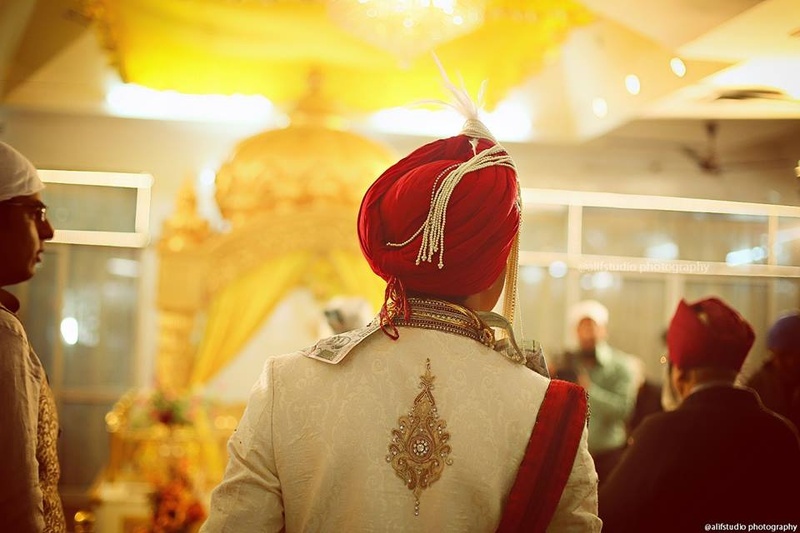 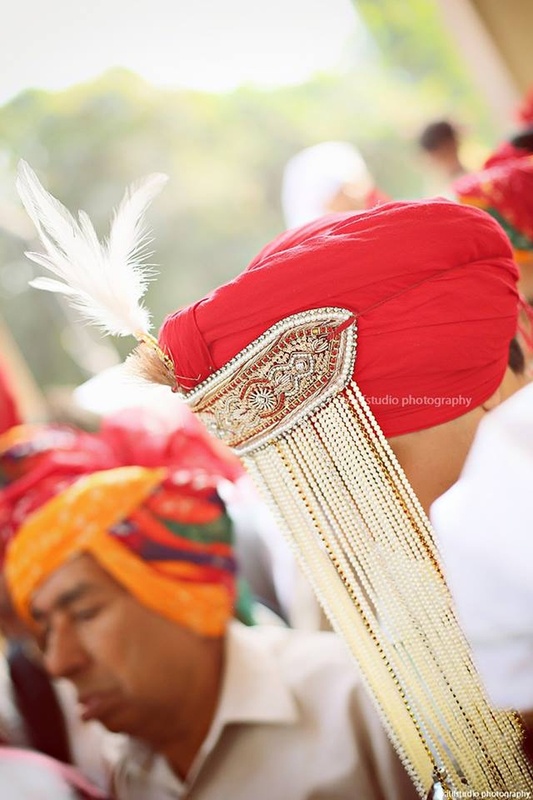 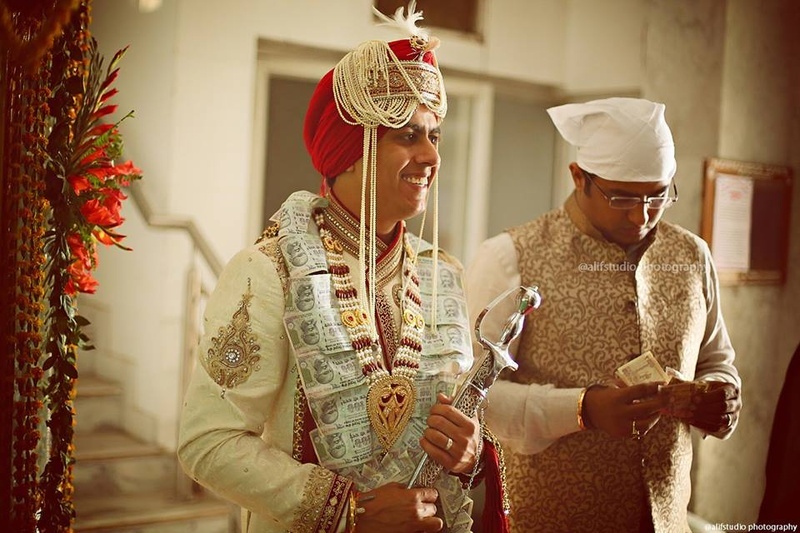 Wearing a pearl sehra, a Sikh pagri along with a religious Kirpan in his hand, Sumit arrived at the wedding venue in a traditional cream sherwani. 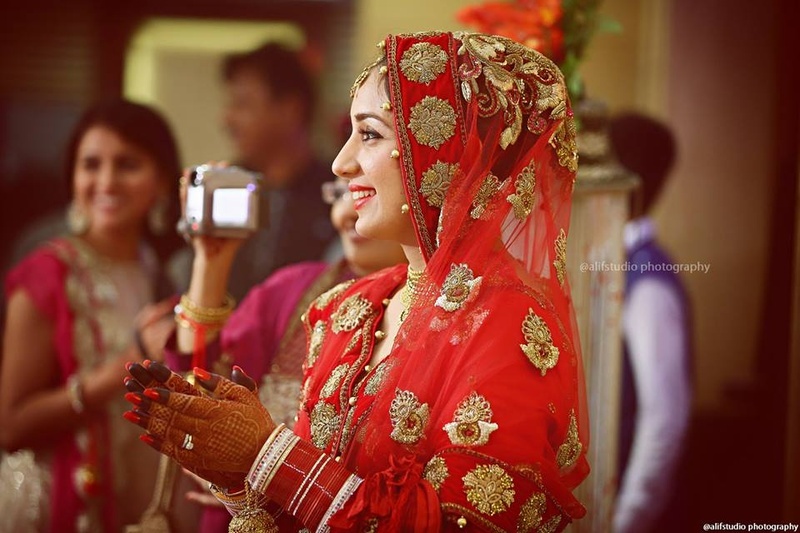 Komal was glowing in a red lehenga that featured gold patchwork embroidery with sequins throughout the outfit. 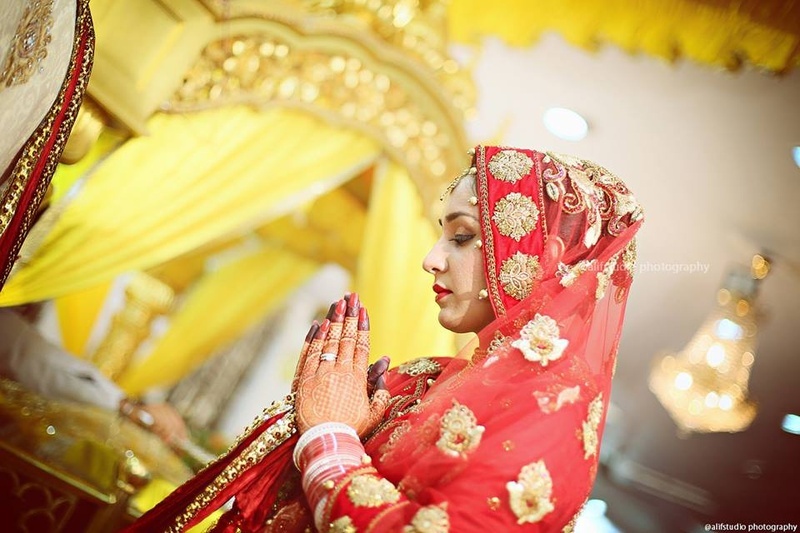 She also adorned traditional yet stylish bridal jewellery that included a small mang tika, a gold necklace, a gold embroidered purse and a pair of delicate choodas. 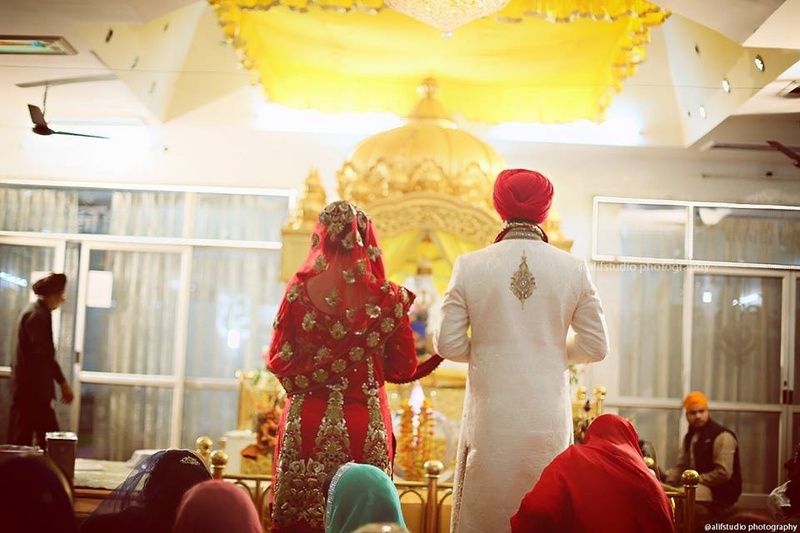 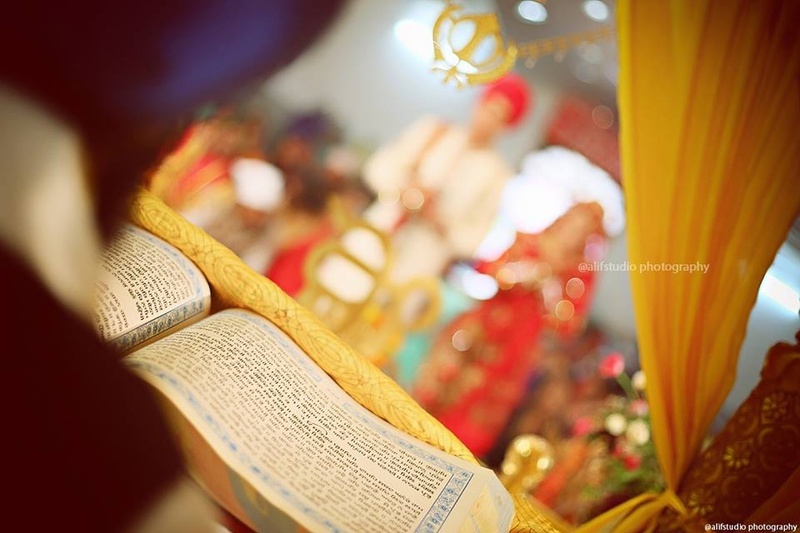 The couple circled around the sacred Guru Granth Sahib four times, bowing and seeking blessing from the priests and Wahe Guru in each round. 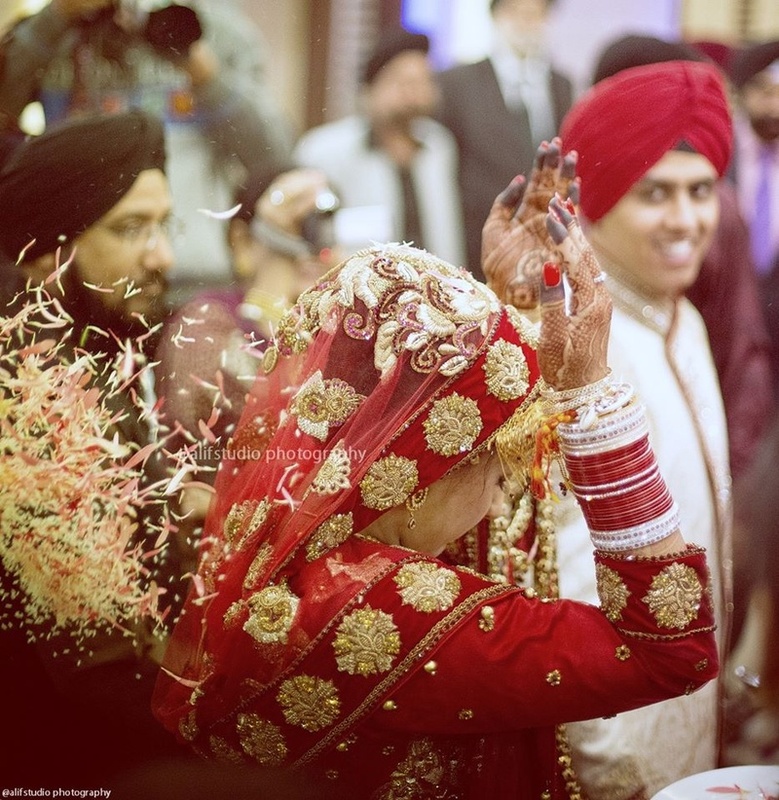 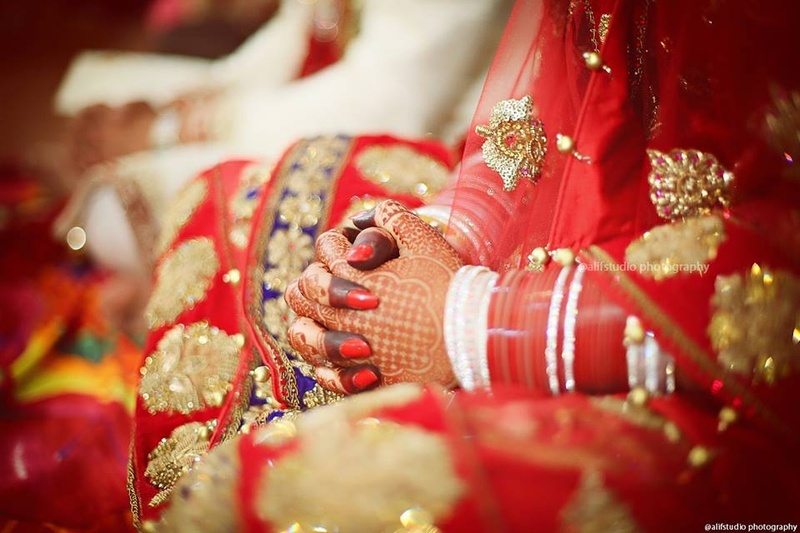 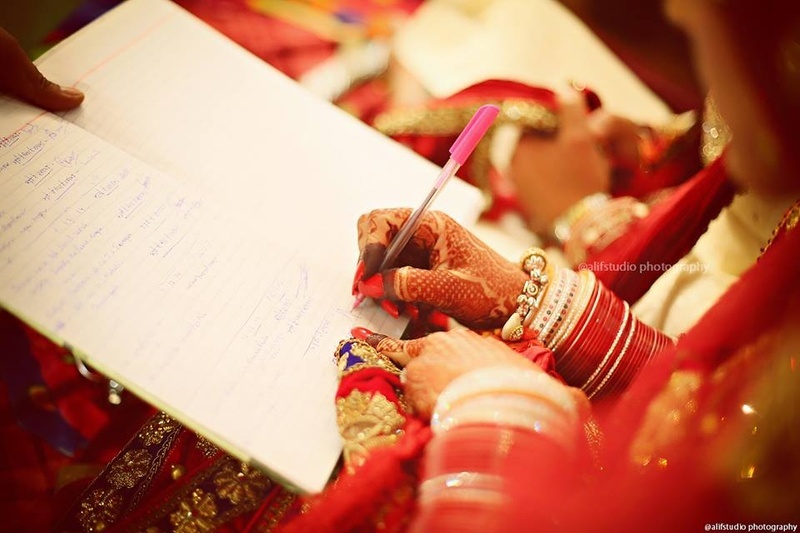 At the Bidai Ceremony, Komal tossed grains of wheat at the back, as she walked into a new phase of life with Sumit. 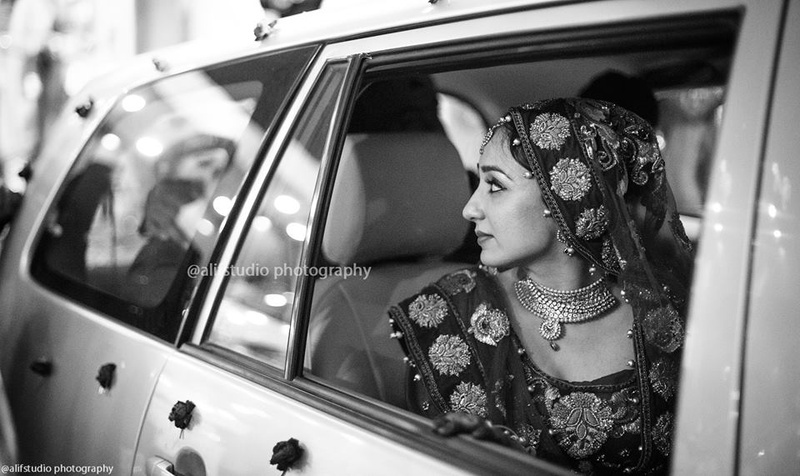 With amazing pictures taken indoors, Abdul from Alif Studio proved why he is an expert traditional wedding photographer. 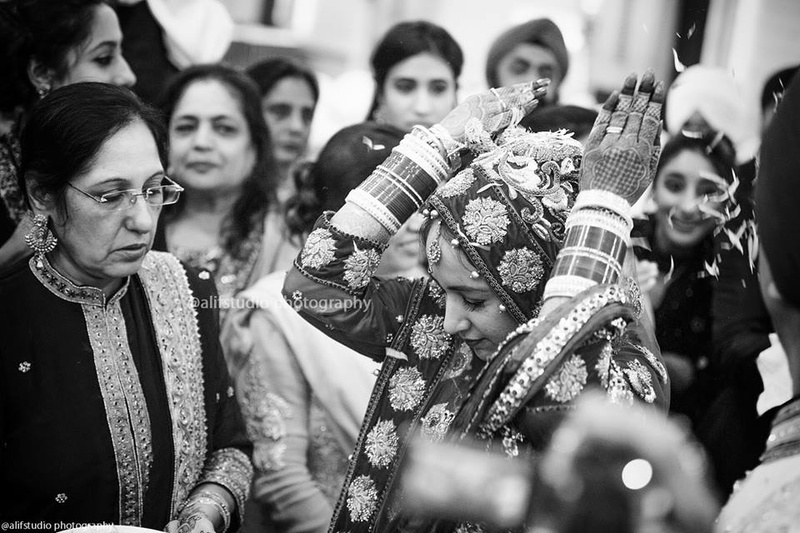 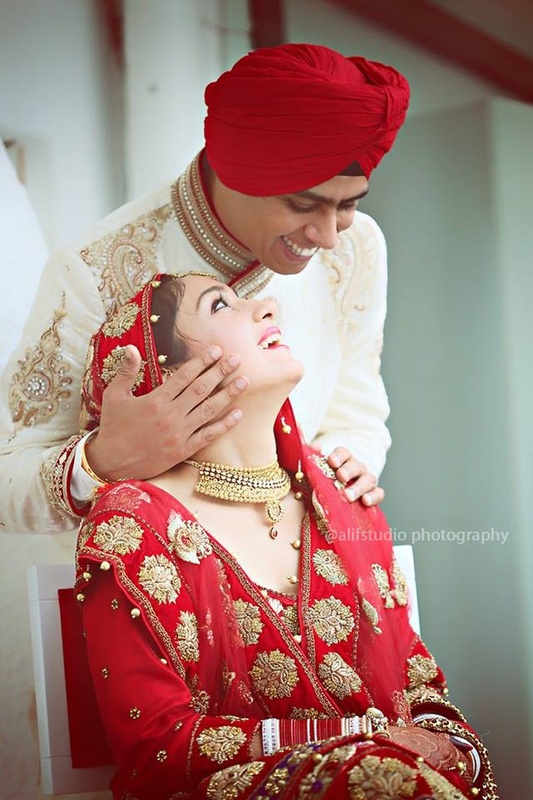 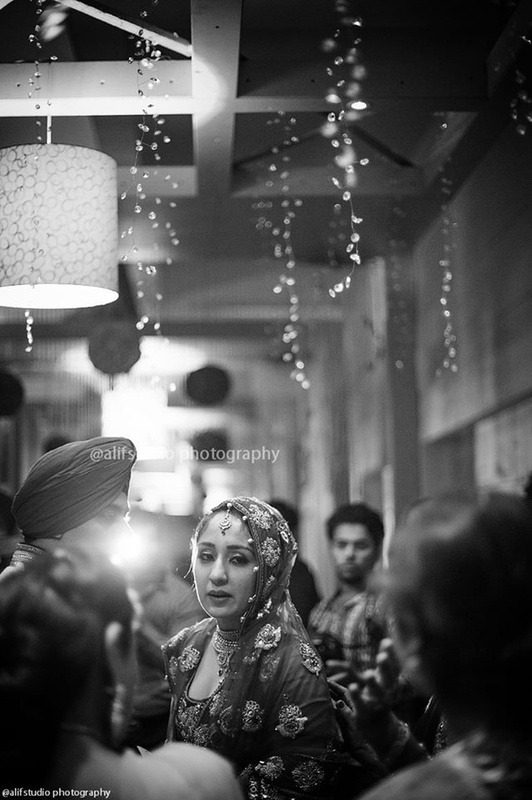 Cover your head with a cloth, as once you see this couple’s wedding, you’ll feel that you are at the Gurudwara with them.